My news is short and sweet. So short it is hardly deserving of a blog post, but I must mark the moment. 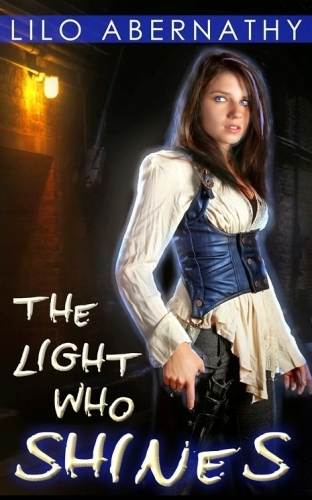 Today, The Light Who Shines hit 4.9 stars on Amazon! I am so excited; naturally I’m doing the HAPPY DANCE! However, I’m writing this post with some trepidation. I worry that sharing this great news will inspire a troll to leave a bad review. Even knowing the risk, I’m braving it because I think, I hope, that most of those who read this will just be happy for me, and with me. Part of what amazes me about this is I know my book isn’t perfect. I know of at least two editing errors remaining, and I just paid for another round of proofing and editing to tighten it. I have the changes, but I haven’t reviewed and pushed them yet. Still, the book seems to make people happy, as is. I’m also a realist and can’t expect the rating to stay this high as it continues to expand it’s reach. Right now I’ve sold 871 copies and I’ve received 61 reviews. I attribute some of that rating to the fact that I’ve marketed it to the correct genre audience. Eventually, people outside of my target audience will read it and I can’t expect such good reviews from the expanded crowd. For now, I’m going to try to bask in the glory. I’m not really a basking kind of person, so we will see how that goes. Note: I’ve corrected this post. Previously, I stated that I’d sold between 300 – 500 copies. I just did an actual count and it is much higher than I had thought. I’ve corrected it to 871 based on my sales reports.